The ICOM 7100 has a bit better receiver than the other radios I have used except for the refined sound of my old favorite TenTec 555 Scout that was gifted to my antenna minion and good friend DON. 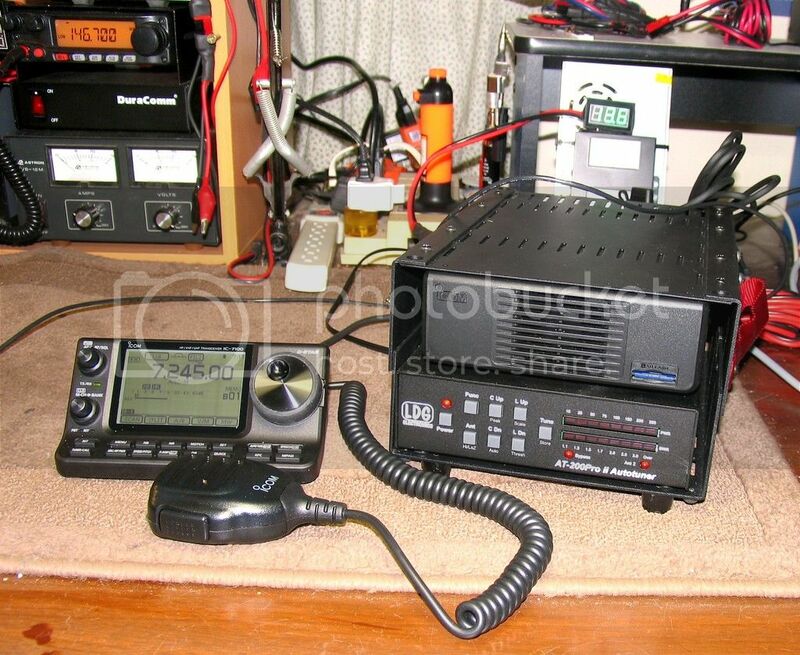 The IC 7100 is a TWO PIECE,not just removable face radio that operates 160 to 6 meters HF at 100 watts and 50 watts on two meters with 35 watts on UHF and the easiest touch screen display with all the menus one can use...Yet it is EASY to learn and operate as a touch of the screen will access the item you touched for easy adjustment.The speaker is in the HEAD as is the Mic connector and the tuner control allows low power tuning and then shifts back to your power setting...COOL. The SD card allows saving all of you memories and settings should someone screw with your settings. It has multiple fans or speeds for some major cooling and is slightly less prone to heat due to design of heat transfer or ducting. I like the size (slightly larger than the FT 857D) and it fits the Tac-Comm tactical carrier well also with my LDG antenna tuner. The radio uses slightly less than 1 amp on receive and 20 to 22 amps on transmit. It does have the mini din digital jack and uses the same easy interface cable as the FT450 and FT857 use...did I just get these radios to save on interface cost? 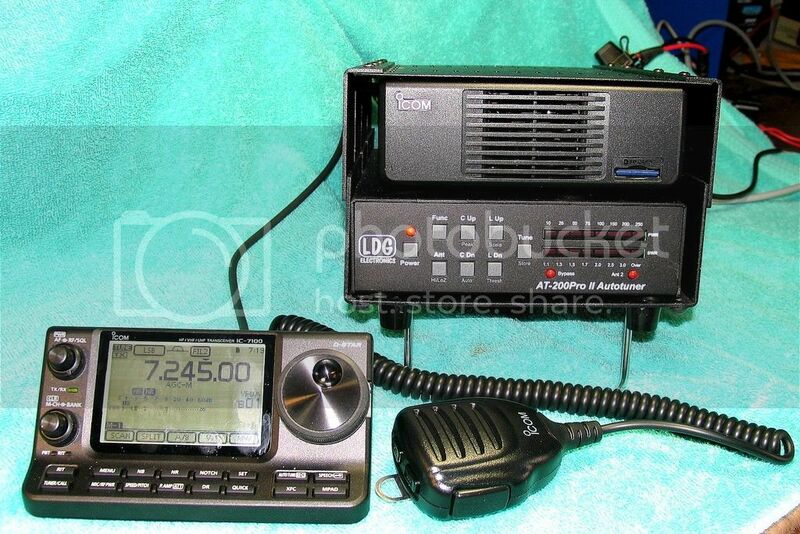 I worked this radio hard for months and it never stumbled and the BUILT IN digital recorder/player saved me with the repetitive CQ calls and also recorded (in WAV format) many HOURS of my conversations on HF. I am kidding,they are all made to be used...just one at a time. 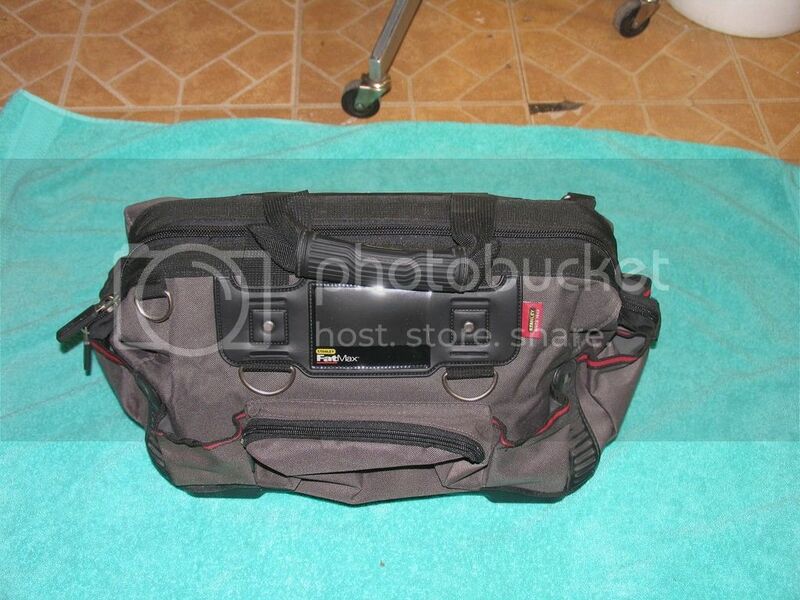 As it fits in the Tac-Comm carrier...it also can ride in a FAT MAXX weather resistant ,hard bottom,tool bag. I spent a few hours on a 7100 during field day. It had a Heil Pro 7 headset and foot switch. It sounded fantastic compared to what I'm used to. We hoisted a multi-band (Icom commercially made) dipole about 70 feet above ground. I really like the feel of the VFO knob, and the numerical frequency display worked well in various lighting conditions. I didn't personally adjust the DSP, as the owner had "dialed" it in before I started operating. 3 people on the local ARES team own the same radio. I also liked the option to connect the mic to either the control head or the base. Usually dual band mobiles that feature separate heads are exclusively one or the other location. I used the voice recording macro during the field day contest a few times. "CQ Field Day CQ Field Day Kilo 7 Charlie". It might be useful during a contest, but was otherwise a novelty in my opinion. I had better luck chasing the big stations anyhow. It's a good value for $1000.00 and if you need the smaller form factor for use in an RV or other small space, it might be perfect.